| Posts with tag "full stack development"
PHP was created in 1994 requires a web server or an interpreter installed in it to process. Both languages have there importance, features, applications and advantages, we can nurture and see which one will be the technically best fitted solution for us. In a long term run where we aim to develop a product for different business models errors and deadlocks are prone to happen which gets us ease only when we reach out to a community where our doubts are provided suggestions and answers. 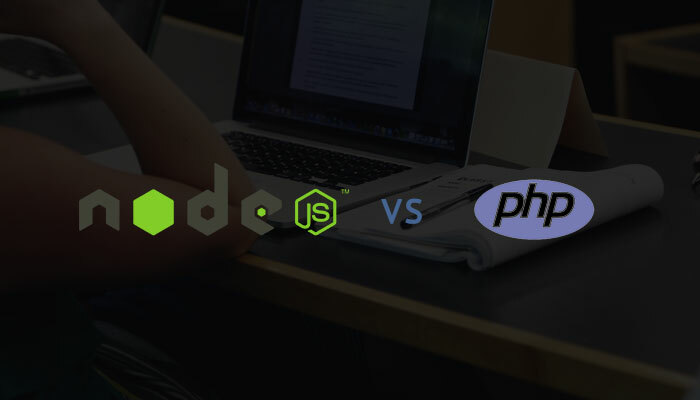 PHP wins this area as compared to NODE.JS , as PHP is old and haves a huge community support built over years. Are statements and structures logical and easy to use? Unlike some languages and frameworks, PHP doesn’t force you to work in a specific way and grows with you. You can start with a few multi-line programs, add functions, progress to simple PHP4-like objects and eventually code beautiful object-oriented MVC PHP5+ applications. Your code may be chaotic to start with, but it’ll work and evolve with your understanding…..